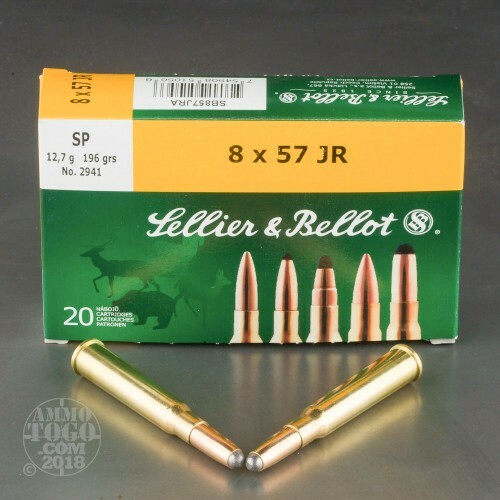 This is Sellier and Bellot 8 X 57 JR 196gr. Rimmed Soft Point Ammo. 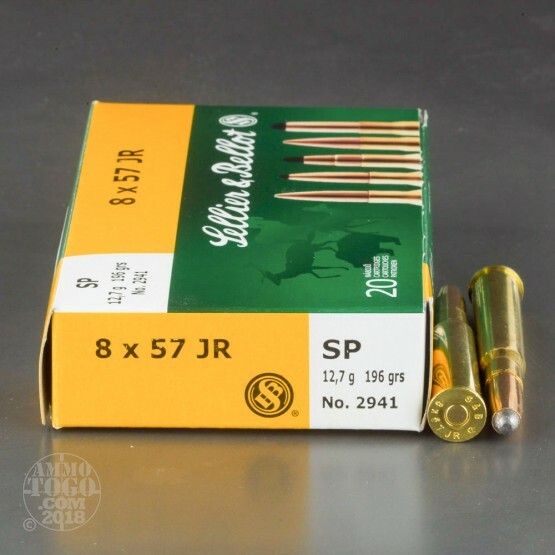 This ammo is manufactured in the Czech Republic and is supreme quality ammunition. 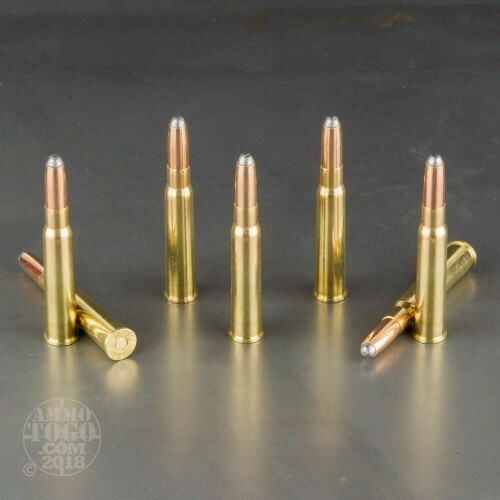 This ammo is boxer primed, brass cased and non-corrosive. It is 100% reloadable. It is packed in oil resistant boxes for extended storage life. 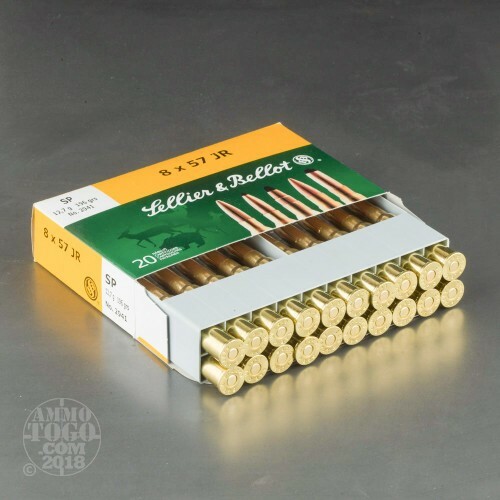 This ammo will not corrode in the boxes, like other commercial ammunitions, during long storage periods. This is 100% new manufactured factory ammunition. This ammo comes packed in 20rd. boxes. Great stuff. I have used it in the US on deer and hogs, and in Africa on an ostrich and black backed jackals. One shot kills all the way. It is phenomenally accurate in my drilling. S&B makes a superb product.